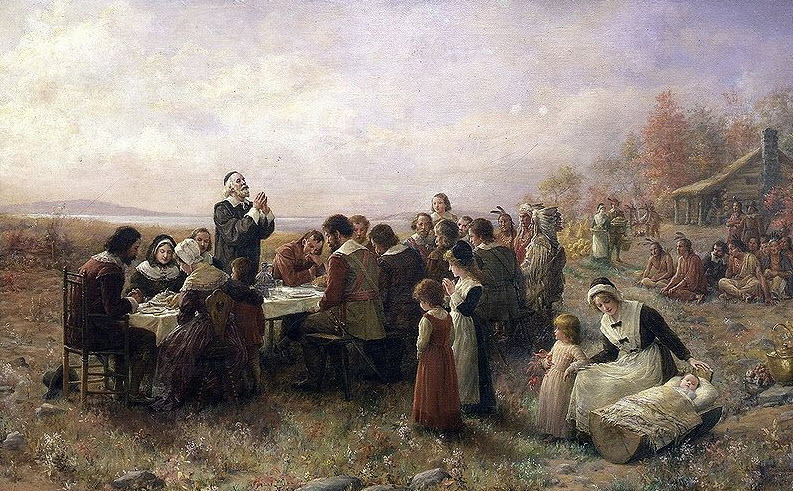 Can you imagine what the story of Thanksgiving sounds like to someone learning English? Perhaps that adult in an ESL class in a church somewhere in Texas has just arrived as a refugee from Congo or Burma. Her children have brought home pictures of pilgrims and Native Americans. Perhaps one child described the story of how these two different groups celebrated a bountiful harvest together. Maybe school lunch for the day consisted of turkey and trimmings. Mix in a few Black Friday ads on TV and you have a recipe for cultural confusion. A cultural challenge, no doubt. I find myself thankful today for those who are taking the time—week by week—to be cultural interpreters. Those who help others bridge from one culture to another. Perhaps you know one of these ESL teachers. According to Robin Feistel, ESL Coordinator for Literacy Connexus, we know of more than 1,900 of these dear saints who, combined, teach English each week to more than 11,000 adults from 85 countries in 245 church-based programs. Thank you, ESL teachers, you are showing the way. Thank you, Robin, and those you are training to lead workshops for new ESL teachers. Celebration (valuing other cultures in their diversity). I’m grateful, too, for Jesus’ example of accepting those of different cultural backgrounds. His care for a Samaritan woman led to a whole new life for her and her village. May we, too, accept others and respond to them in love. Adapt the family reading fair concept in other settings where families lack books at home. What, then, is the family reading fair concept? It is simply sharing books with children who lack books at home in the best way possible. In some settings, it means families receiving a new bookcase and bags of new and used books. In other settings, it is just one new book. Just one. Ashley Magers is a student at the North East campus of Tarrant Community College in Hurst, Texas. She is president of Psi Beta, a service club under the direction of Shewanda Riley (Literacy Connexus board member). Last Saturday Ashley and two other students sorted books at the Literacy Connexus book bank at Western Hills Baptist Church in Fort Worth. They left with six hundred books for distribution at an elementary school in Grapevine, Texas. 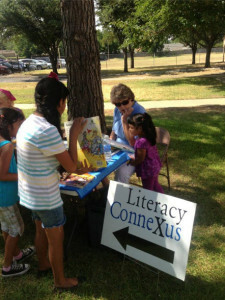 Last year the group distributed 800 books at an elementary school in Haltom City. Ashley recalled the excitement of the children who received the books, who were delighted when told they got to keep them! School children with books to keep! LaVerne Moore volunteers at WestAid – a food pantry in Fort Worth. She and her husband have a passion for sharing books. They search out books to give to families who come to WestAid looking for food: something for the soul as well as the stomach. Carol Prevost is a retired educator in Chattanooga, Tennessee, and former Literacy Connexus board member. Her idea to share books helped spark Books for the Border several years ago. Now she leads her church to collect books for distribution at a local homeless shelter. According to RIF (Reading is Fundamental): Two-thirds of America’s children living in poverty have no books at home, and the number of families living in poverty is on the rise. 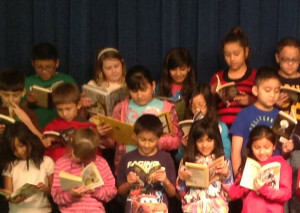 Many public and school libraries are being forced to close or reduce their operating hours. Children who do not have access to books and do not read regularly are among the most vulnerable Americans. The Literacy Connexus website provides guidelines for sharing and sorting used books. 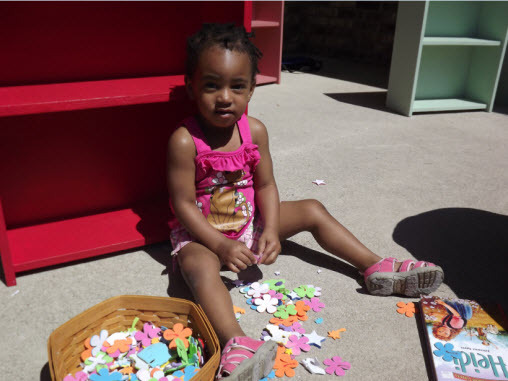 Our hope is that you will find ways in your community to share books with children at risk. And share those ways with us, please.